The PDF format was a total revolution to how documents were distributed, but with the only drawback that they weren't easily editable by the user, something that could be a real problem for those people that wanted to modify a manual or edit an article published in this format. 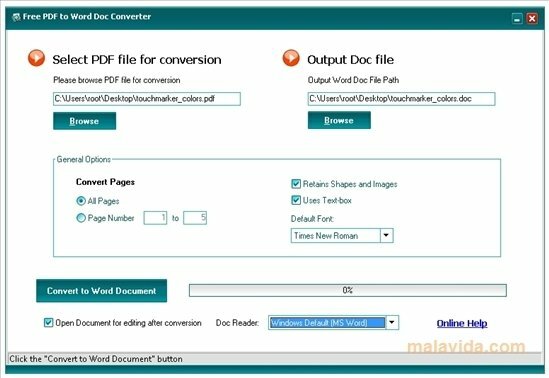 Free PDF to Word DOC Converter is a tool that will allow us to convert any PDF to the native Microsoft Word format (DOC), extracting the text and the images, but with the only drawback that it doesn't maintain the layout of the original file after the transformation. 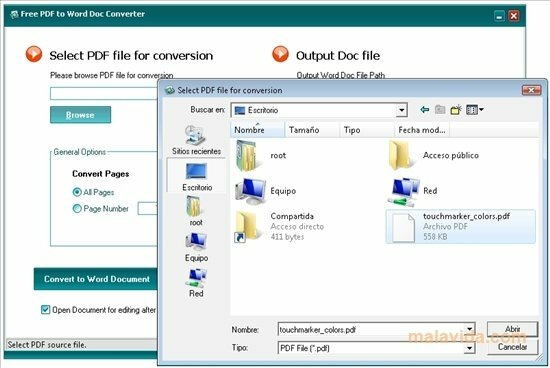 The program is very easy to use, due to the fact that it is only necessary to select the PDF file that we want to convert, the destination folder, the final file format and if we want it to open once the document conversion process has finished. 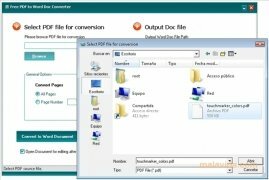 Now you will be able to convert any PDF so that it can be easily edited in your favorite text processor thanks to Free PDF to Word DOC Converter.